Based on: Desert Hermits, Byz. MS. illum., ca, 1081 Princ. U. Libr., image modif . Plato as mystical theologian; his Parable of the Cave and Myth of Er. Spiritual Ascent in the intertestamental period: The Book of Enoch. Cicero's retelling of Plato's Myth in the Dream of Scipio. Origins of Christian monasticism. Hermitage and cenobium in northern Egypt (Nitria, Kellia, Scetis). Solitude and community in: Athanasius' Life of Antony; the Apophthegmata; The Ascetikon (Rule) of Basil the Great; the Rule of Benedict. Essays on the eremetical life in East and West. Introductory concepts (monologistic prayer, meditatio, parrhesia); Private and Group lectio divina; Dei Verbum (Vatican II); Philo of Alexandria; Cyprian of Carthage; Hugh of St. Victor; Guigo II. Psalmody and hymnody in Judaism and early Christianity. Early monastic descriptions of psalmody and prayer: Athanasius; Antony; John Cassian; Evagrius Ponticus; and Basil. Gregory of Nyssa, On The Inscriptions of the Psalms. Benedict on psalmody and prayer. Gabriel Bunge, Geistgebet - Spiritual Prayer. Representative psalms with antiphons, ancient and modern. Pope John Paul II, On Psalm 117. Cyril of Jerusalem and Ambrose of Milan on baptism, chrismation, and the Eucharist. Dionysius the Aereopagite on liturgy and mystical theology; Maximos Confessor on Dionysius and liturgy. Suger of St. Denis on the contemplation of beauty. Books of Hours; Gertude the Great on liturgical prayer; Hildegard of Bingen. Vatican II (Lumen Gentium) on the Royal Priesthood. Biblical and early patristic recommendations of mystical (allegorical) exegesis. Clement of Alexandria and Origen on fourfold and threefold exegesis. Evagrius and Cassian (Conf. 14) on progressive levels of biblical interpretation. Eucherius of Lyons’ allegorical glossary. Biblical and early patristic sources (Cyprian, Tertullian, Clement of Alex.) on continuous prayer. Evagrius: sel, from on Prayer; Cassian, Conf. 9-10. Early Byzantine witnesses (Diadochus and Barsanuphius). 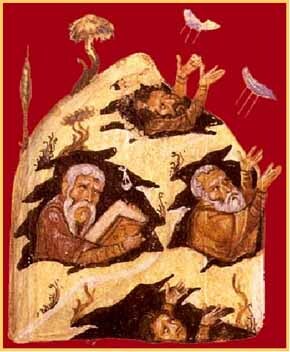 The monks of Sinai: Climacus, Hesychius, Gregory of Sinai. The Jesus Prayer, Mount Athos, and Gregory Pallamas. Modern monastic reform and renewal: (1) missionary zeal and Boniface Wimmer, Gerard Van Caloen, and Andreas Amrhein; (2) Liturgy and Prosper Gueranger; (3) Primitive Observance and Pietro Casaretto. Essay: Are We Contemplatives, What is our Future? Early texts on spiritual guidance and leadership in the Christian community: Selections from the Rule of Benedict on the abbot and cellarer; selections from Pope St. Gregory the Great. Introduction to writings. COMPLETE TEXTS. Praktikos, Gnostikos, Kephalaia Gnostica, On Prayer, Skemmata, Peri Logismon. SELECTIONS. Gnomic Sentences, Antirrhetikos, Scholia on Psalms, on Proverbs, on Ecclesiastes, Letters. Christian teaching on the descent of Christ into hell and the implications of this doctrine for soteriology and eschatology. The controversial doctrine of the "Restoration of All Things" - the Apocatastasis.  This Webpage was created for a workshop held at Saint Andrew's Abbey, Valyermo, California in 1997: updated 7/8/05....x.... ’ “”.